As the Priestess, you symbolize the law of knowledge; you know the truth. Through inner stillness and equilibrium, see what lies below the surface. Equanimous and balanced like your number - two - you are able to see yourself objectively. Through your dreams and meditations, allow your moon subconscious to rise to the surface of conscious awareness. In your watery receptivity, you are the reflection pool - a mirror to others. You are a counselor, a wise owl. Like the dolphin,you are an oracle.Foresee. 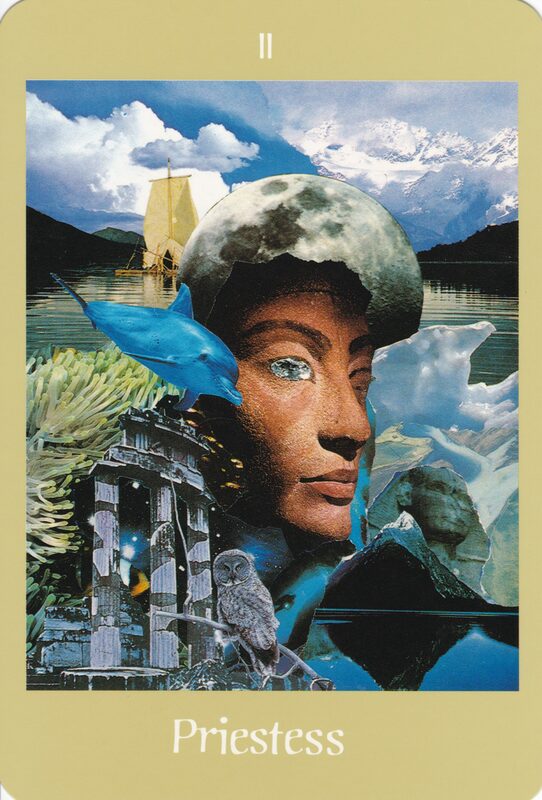 The Queen Nefertiti as a Priestess symbolizes your ability to bring metaphysical perceptions into the material world. Apply the psycho-spiritual arts in a practical, influential, worldly way. Be calm, cool, stoic and withdrawn. In your detachment, you are emotionally self- sufficient. Get clear of emotional and worldly entanglements that might ccloud the purity of your diamond vision. The shadow or negative side fo the priestess: You may seek, however, the contemplative, spiritual life of the Priestess out of fragility,frigidiry and escapism, and so lose the warmth and risk - involvement of the secular world.